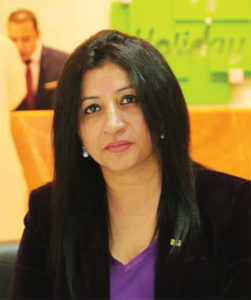 The ideal strategy as a professional Housekeeper – Innovation and Performance can only be an ACE if you are customer focused, like to develop a team, are adept of the profitability and excel in human relations says Akshi Singh, Crowne Plaza Kuwait Al Thuraya City, Cluster Director of Housekeeping. The Guest is the core of the Hospitality Industry with dynamic concepts like brand consistency and service deciding what will be purchased. As Housekeepers we are under increasing pressure to seek a new approach involving refocusing of activities onto the creation of Hi Tech, High value added services for our Guests. Gone are the days when we followed simple service delivery and cost factors alone. 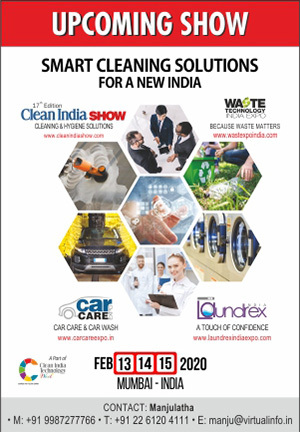 Now as a progressive and modern day Housekeeping Professional, one needs to ensure a high level of innovation and service flexibility in order to be able to take advantage of higher value added, new emerging concepts to compete in the ever growing competitive market. 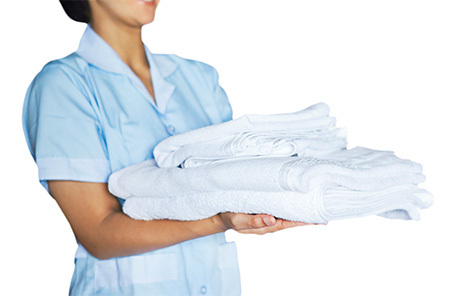 Housekeeping as a backbone of the Hotel Operation is highly labor intensive and tests both physical and mental abilities to their limits. Hence there is an increased emphasis on Horizontal and Vertical job integration which enables the team to have responsibility as well as influence over their work and environment. A dedicated, multi skilled cohesive team can be groomed with the right inputs resulting in major revolutionary Expense Management as well as state-of-the-art service standards and delivery. A live instance of this was in 2017 when as a Cluster Director of Housekeeping of the IHG Brands I had the Privilege of pioneering a dual task of Opening a New Crowne Plaza Hotel as well as rebranding the existing Crowne Plaza to a Holiday Inn. A first in itself in the whole of the Brand – Commissioning 71 Suites and 140 Rooms along with Restaurants and the biggest Ballroom in Kuwait with precision and grandeur – WITHOUT ANY ADDITIONAL manning or cost to company. 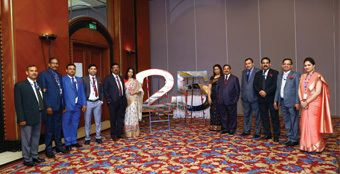 The New Crowne Plaza Hotel opened and was manned with the team taken and trained from the earlier Crowne Plaza which was simultaneously rebranded as a Holiday Inn. The Team at the newly rebranded Holiday Inn was trained on the Holiday Inn Brand Standards and a gigantic task was undertaken of revamping the Linen/Collaterals/Product and Service standards. The entire process was seamlessly executed while the Hotel was fully operational and without interrupting the business flow or hiring any additional manpower. This was also reflected in the Guest Experience Matrix as “In spite of all odds the Housekeeping Team took the Guest Delight score to landmark heights.” The Guest Room experience score was at 95.59% YTD as above the regional average of 83.2% YTD. Even with multiple properties under my belt we ensured that the standards were kept at a benchmark level and constant innovation in Product and Process ensured that the guest all checkout with a WOW. The Employee Engagement Index was also at par being the highest in the Hotel at 95.1% which showed the highly motivated and well trained team. The success story of the high employee morale was my focus on training and development of the team and constant attention on their welfare. Human Resource Management, is the key to all success – Deliver, Drive, Develop and Delight being the motto. Keeping in mind that the new initiatives need to be qualitatively superior and must economize and streamline the operations. The implementation of measures to be simple and practical to reduce running costs. One must strive to promote talent from within, empower supervision at all levels and devise a system of lending an ear to recommendations and suggestions which should be encouraged. I would highly recommend creating a Peoples Bank in house comprising of those who are High Potential and capable of delivering and exceeding guest expectations. The Housekeeper should create “Bright Spots”… “Yes I Can” and “Do It Right “ culture which should be genuine and amply rewarded. Acknowledged is the fact that one of the greatest challenges facing the hospitality industry, particularly Housekeeping, is the high employee turnover – a high average of 31% ( as per survey done by Deloitte). Finding the right people is difficult and retaining and training them is even more difficult. Multiple challenges such as – guest dissatisfaction, injuries on job, untidy room, broken or missing items, long hours of work – do not make it easy to hire. The solution, is to bring “Focus back to details”. This is in the interest of their career growth opportunities as well as the day to day operations of the team. To be truly professional, one needs to strive to be an optimist and deliver results for all concerned – Stakeholders, Company and Team.